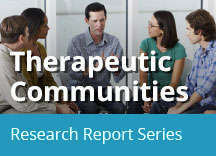 Home » Publications » Research Reports » Therapeutic Communities » What are the Fundamental Components of Therapeutic Communities? 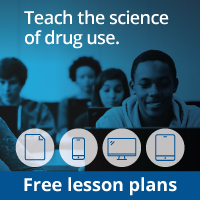 According to therapeutic community (TC) theory, substance use disorders (SUDs) often erode social functioning, education/vocational skills, and positive community and family ties. Thus, recovery involves rehabilitation—relearning or re-establishing healthy functioning, skills, and values as well as regaining physical and emotional health. Some TC participants have experienced highly disordered lives and may never have acquired functional ways of living. For these people, the TC may be their first exposure to orderly life, and recovery for them involves habilitation—learning for the first time the behavioral skills, attitudes, and values associated with functional and healthy living. TCs use a highly regulated daily regimen with clearly stated expectations for behavior and psychological and behavioral rewards (e.g., praise and increasing status in the group) for working hard and meeting expectations. TCs also focus on empowering individuals by highlighting the strengths of program participants. Disciplinary sanctions for violations help to maintain structure for TC participants and staff and ensure that participants’ lives are orderly and productive. Routines include morning and evening house meetings, job assignments, group sessions, seminars, scheduled personal time, recreation, and individual counseling. Work is a distinct component of the TC approach. Each participant is assigned particular tasks or jobs that help teach responsibility and the importance of work, respect, and self-reliance. Vocational and educational activities occur in group sessions and provide work, communication, and interpersonal skills training. A primary component of the TC is "community as method"—people live drug-free together in a residential setting in the community (although sometimes TCs are in prisons or shelters). Living in a TC with others who are engaged in self- and mutual-help is seen as a mechanism for changing their overall lifestyle and identity (De Leon, 2000; De Leon, 2015). In the TC, all activities and interpersonal and social interactions are considered important opportunities to facilitate personal change. Positive peer communications in a mutual-help environment also may be an important part of the therapeutic process (Warren et al., 2013b). A key element of living in a TC and the mutual-help process is the development of social networks through positive social interactions and bonding that can offer support during treatment and after an individual leaves the formal treatment environment. Because TCs emphasize social learning, participants form a hierarchy within the group. Those who have made progress in changing their attitudes and behaviors serve as role models for "right living" and help others who are in earlier stages of recovery (Perfas & Spross, 2007). For example, they offer "pull-ups"—very specific feedback on a behavior that a community member needs to change because it is not considered proper conduct. One study found that TC participants who conveyed more pull-ups to peers and reciprocated this type of feedback were more likely to graduate from treatment (Warren et al., 2013a). TC activities—including group discussions with peers, individual counseling, community-based learning through meetings and seminars, confrontation, games, and role-playing—are a central part of the mutual-help process. Community meetings (e.g., morning, daily house, and general meetings and seminars) review the goals, procedures, and functioning of the TC. Individual and group work in TCs (including encounter groups and retreats) focus on changing negative patterns of thought and behavior and on building self-efficacy so participants learn to think of themselves as the primary drivers of their own change process (De Leon, 2010; Sacks et al., 2012a). TC participants are encouraged to be accountable for their behaviors and to set goals for their own personal well-being, positive participation in the broader community, and life after leaving treatment. An important therapeutic goal is to help people identify, express, and manage their feelings in appropriate and positive ways. In group activities, participants focus on behaving in ways that are acceptable in the TC community rather than how they behaved in the past.